When faced with a change in the placements I was expecting for my GP training programme which meant instead of working in emergency medicine in Aberdeen I would be working in psychiatry in Caithness I have to admit immediately thinking: you have to be kidding? My next thought turned to the exact location of Wick and Thurso having never been further north than Inverness before! Six months later and preparing to move on to a new post I have to say my perceptions of both psychiatry and Caithness have been completely changed. 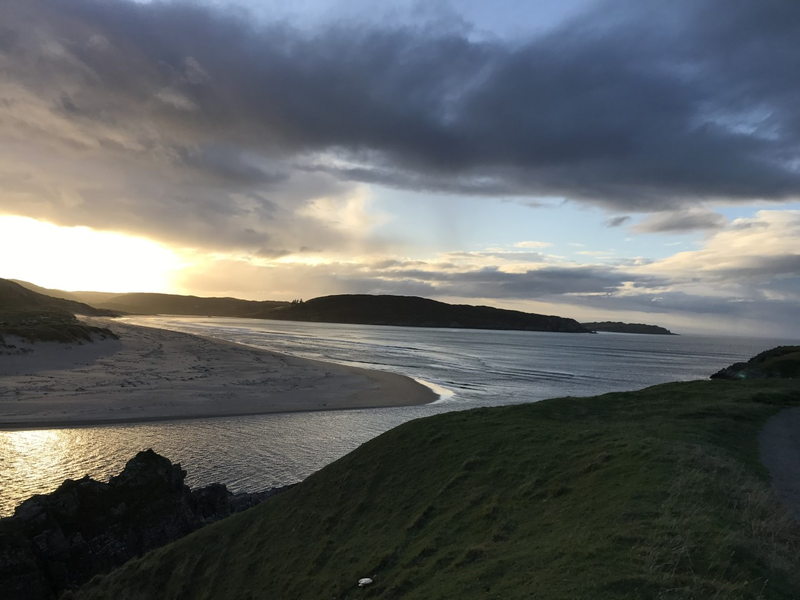 I was the first GPST taking up the post in psychiatry in Caithness and immediately it was obvious there was much enthusiasm from the local supervisor to make the post educational and relevant to general practice. Having had no experience of psychiatry since medical school my knowledge was patchy and confidence in being able to manage mental health problems limited. I was eased into the post with a useful induction of some light initial reading and then a couple of clinics observing my supervisor followed by him observing me. After this I was off on my own (but always with excellent supervision). The vast majority of the job has been outpatient general adult psychiatry with me having two full days of clinics a week seeing a mixture of new and review patients and building up a caseload. There has always been ample time within each day to see and assess patients thoroughly and discuss issues or points of interest with my supervisor. The skills learned in outpatient clinic are totally transferrable to consulting in general practice and quickly I became more experienced in assessing and managing common but also occasionally unusual psychiatric presentations. The rest of the week involved Community Mental Health Team meetings, attending the ward round for the local Caithness inpatients (either via VC or travelling to Inverness) and then there was time within the week for admin, e-portfolio/personal study, audit and also the chance to spend time with other specialist teams such as the substance misuse and older adults mental health teams. Another unique aspect of the post which I think has been invaluable as part of my GP training has been my experience in CGH. As part of my post I spent one long day per week and one long weekend per month working in the hospital as part of the junior doctor rota. It was an excellent way to continue to develop acute medical skills while working in an outpatient speciality. Most of my time was spent working in the hospital Emergency Department and although I had never done a job in ED before I found the support in the hospital to be excellent. There are rotating visits from Inverness consultant physicians and surgeons as well as a permanent surgeon and anaesthetist so there is excellent continuity in supervision and teaching. From my perspective as a GP trainee one of the most valuable aspects of working in CGH was working alongside the hospital Rural Practitioners. They are all GPs with many years of experience who now work in CGH, mainly in the ED. Being able to work alongside them and discuss seeing the undifferentiated mix of patients presenting to the department and having to manage unwell patients in a rural setting was a great way to learn from experienced GPs and apply this to my own training. Although the job itself has been fantastic I was equally as concerned when moving here about life outside work. There really was no need to worry. 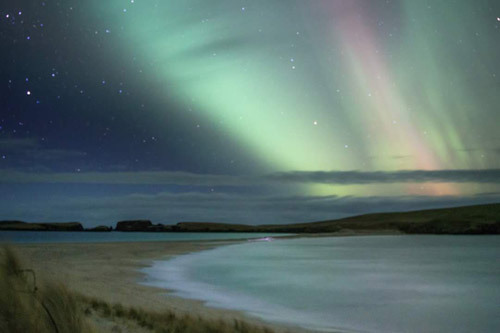 As well as myself there are a number of FY2s, CDFs, long term and short term locums meaning there has always been quite a solid group of junior doctors keen to explore Caithness. Since moving here I’ve trained regularly with the local triathlon club, got in a few very windy miles on my road bike, climbed the highest point in Caithness and managed three trips across the Pentland Firth to Orkney. Within two weeks of moving to Caithness I’d acquired a surfboard from supervisor and started to get familiar with some of the best waves in Europe. Even if the waves aren’t firing the beaches and surrounding coastline themselves are amazing to explore. And if I felt like getting away from Caithness then Inverness is only a two hour drive away and Wick actually has an airport with flights every day to Edinburgh (which you can get a 50% discount on if you live locally). I’ve loved working in Caithness for the last 6 months as a GPST and wouldn’t hesitate to recommend it to anyone for training or life outside work. I’d be happy to discuss training here with anyone interested (jack.cunningham@nhs.net). Have a read of this article from the NES Annual Report. This could be the next step after completing remote and rural training in the North Region. Always fancied a starring role on the small screen? This new three-part series tarts tomorrow at 9pm on BBC 2 and features Dr Kerry Cattanach, a former Caledonian programme trainee who trained at the Maryhill Group Practice in Elgin and has stayed on in a GP Assistant role. The series goes behind the scenes at Elgin Health Centre, one of Scotland's busiest GP Practices, to reveal the reality of running a service with an acute shortage of GPs and ever more stretched resources.